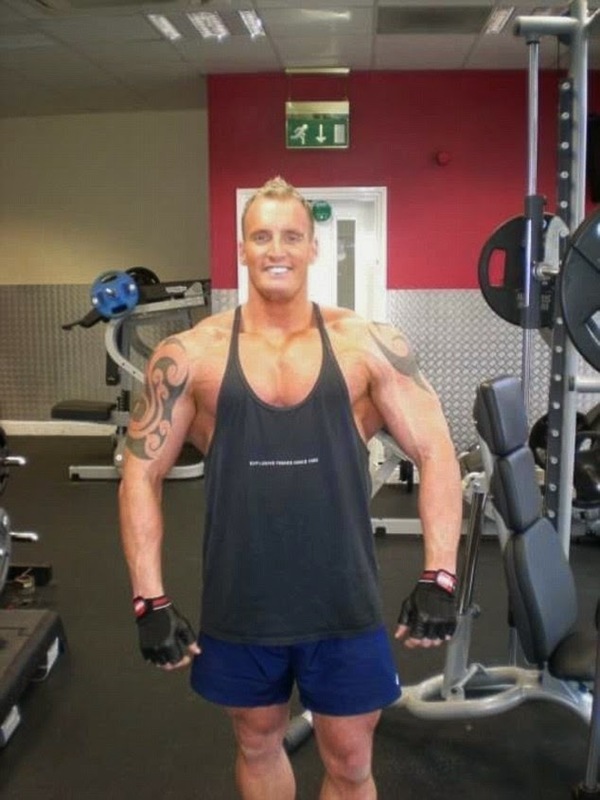 A former bodybuilder given just weeks to live after being diagnosed with cancer today blamed his 10,000-calorie a day diet and energy drink addiction for triggering the disease. 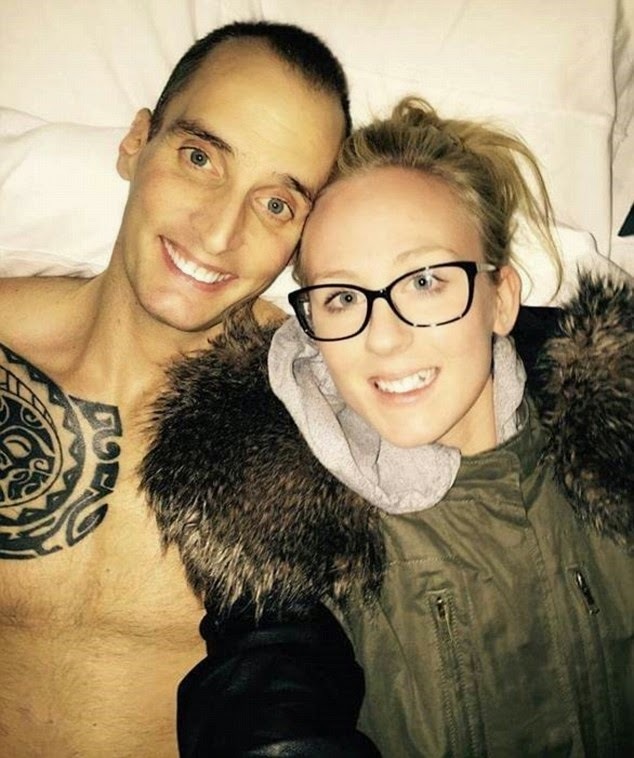 Dean Wharmby was told he had just weeks to live in November after a large tumour was found on his liver. But he is still battling the disease five-and-a-half months later, thanks, he believes, to cutting out sugar and relying on natural remedies. 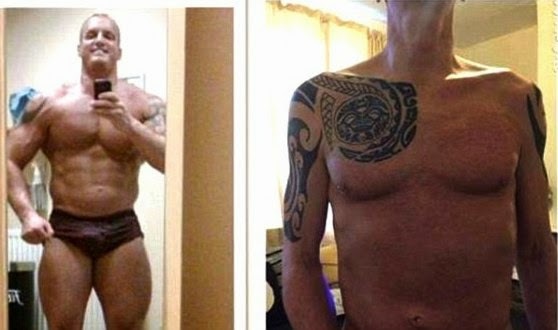 It is a huge turn-around for the 39-year-old, who told MailOnline he turned to a diet of burgers, pizzas and bacon sandwiches - washed down with seven to eight cans of energy drink - to create the 'perfect' bodybuilder's physique. But he now believes the high-protein, fatty diet he lived on for four to five years may have led to his illness, first diagnosed in 2010. 'It was because I was trying to be as big as possible,' Mr Wharmby told MailOnline. 'I can't say it was the diet for sure, but things like the energy drinks could be contributing factors. Red meats - all things we have found out have so many impurities in them now. Mr Wharmby had been a bodybuilder for 20 years before he became ill. In the beginning, he admits to taking steroids for about a year to create his physique because 'everybody did it'. But he soon turned his back on them, as he began to build his personal training business. It was then his diet took a turn for the worse. He was offered chemotherapy and a liver transplant, but he decided to turn both down in favour of natural remedies. But that meant he needed to completely rethink his diet, which was full of things like acids - which he believes help cancers thrive. 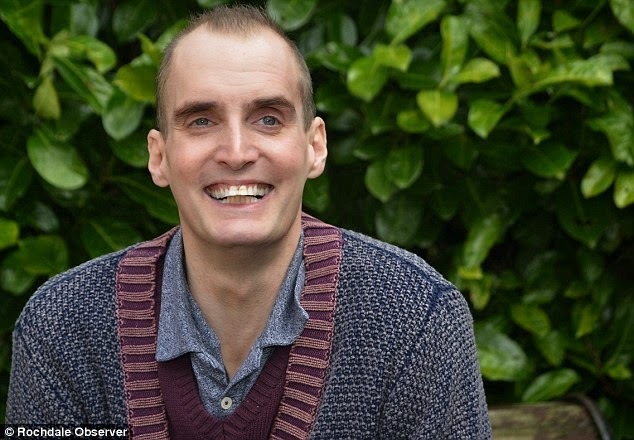 And for a year, it was successful: Mr Wharmby's tumour disappeared. In 2013, he collapsed outside the gym where he was working as a trainer, and rushed to hospital. For the majority of the next year, he returned to his healthy regime. But then things started to go wrong: he broke up with his girlfriend briefly, and found himself homeless - making it hard to concentrate on getting better. By November, he was in hospital 'hooked up to every machine you could think of'. Doctors said he had just three weeks to live. The tumour had got too big to operate, and there was little the doctors felt they could do. 'I was offered chemotherapy, but doctors basically said there was no point,' Mr Wharmby said. So he and girlfriend Charlotte Rigby - his 'rock' - began his healthy regime once more. They also began fundraising to help pay for the treatment costs and have attracted more than 2,000 likes on Facebook by regularly posting videos of his progress. He has also visited a doctor in London - and is hoping to shrink his tumour by using natural medicine. Mr Wharmby is also hoping to inspire others through social media to live more healthily. 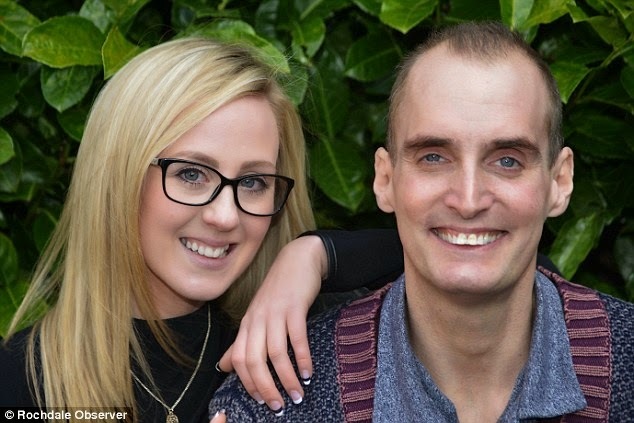 Ms Rigby, 27, said: 'There are lots of examples out there of people beating cancer naturally, even when they've been told there's nothing conventional medicine can do for them. 'The support Dean has received has really lifted him. People have been so positive and it has really made a difference to his attitude. Mr Wharmby added: 'It has been very difficult but I'm 100 per cent determined to beat this.